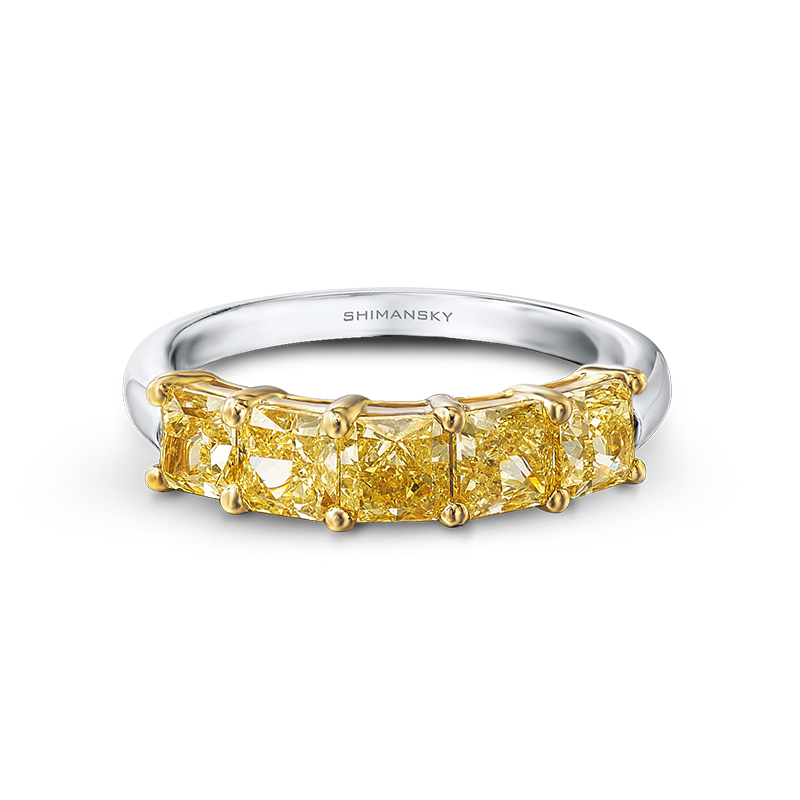 The half eternity ring shown contains five My Girl Fancy Yellow diamonds with a total diamond carat weight of 2.08ct, set in 18K Yellow Gold, in a 18K White Gold shank. 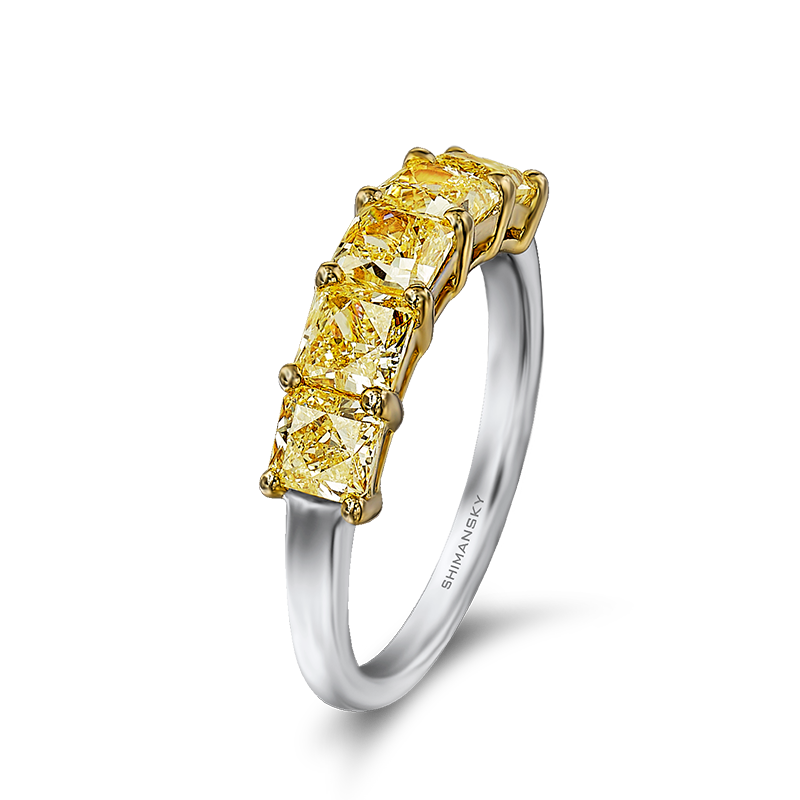 This Fancy Yellow diamond ring can be manufactured in any finger size. 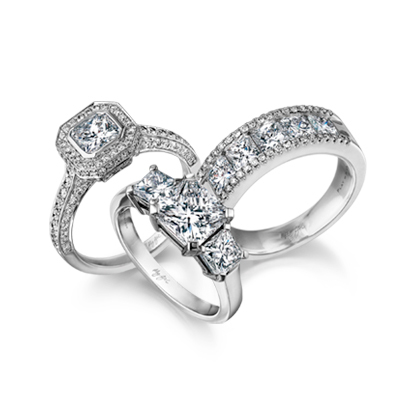 Available to order in Platinum, 18K White, Yellow or Rose Gold.